One of the many reasons why Wellington is called the “coolest little capital in the world” is because of how walkable the city is. I was impressed with how accessible so many hiking trails are from the city, and the vast amount of choices for beautiful scenery that could be found just steps outside my house in Newtown. Wellington is a city that’s meant to be walked. I took full advantage of Wellington’s walkable attributes while I was living there, and although the weather may not always cooperate, it’s one of the best ways to experience the local side of Wellington. Here are my top picks and favorite walks to take around the city. If you’re short on time and only have one place to walk in the city, Mount Victoria is the place to go. Mt. 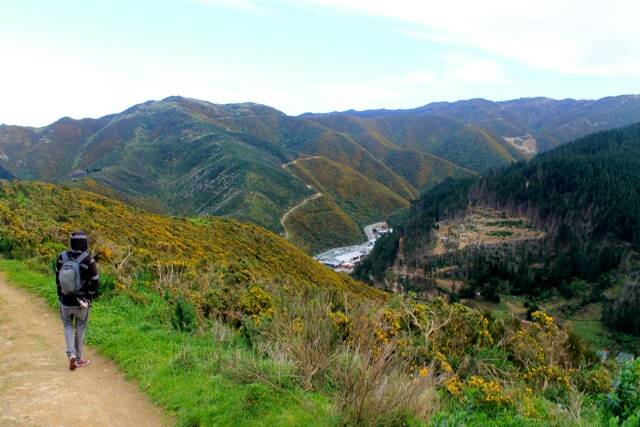 Vic is on the outskirts of downtown Wellington, where you’ll find multiple hiking trails from which to choose, and quite a few film locations that were used for Lord of the Rings. 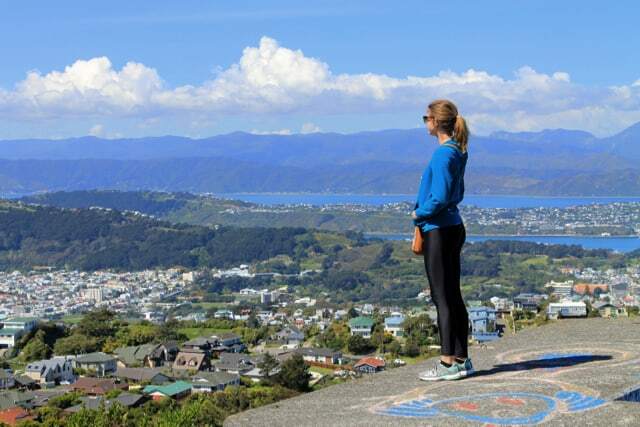 For a good hour hike, I would recommend taking the Southern Walkway track that takes you along the Wellington town belt and rewards you with grand views of the city. If you want a panoramic shot of the city down below, go to the top of the Mt. Vic lookout – it’s breathtaking. You can access Mount Victoria from multiple suburbs, it’s that big. So do yourself a favor, and get lost in the forest, catching glimpses of the city every so often. There is always something new to see when you go back. I went to Mt. Vic at least 10 times while I was living in Wellington, and I always had a different experience each time. Mt. 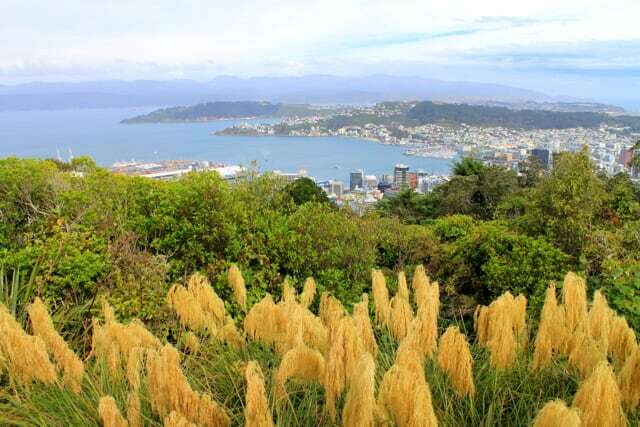 Vic’s rival, Te Ahumairangi Hill is on the other side of the city, also along the town belt, and known as the “alternative” best view of Wellington. Personally, I prefer the view at the Mt. Vic lookout, but Te Ahumairangi Hill is not to be missed with its untouched atmosphere and secluded experience. I was able to spot quite a few Tui birds while I was there, simply due to the lack of people and how quiet the place was. There are various hikes around the Te Ahumairangi Hill, but I made it a longer walk by starting near the Wellington Botanical Garden for a 45 minute hike to get up to the lookout. Te Ahumairangi Hill is also meant to be the best place to watch the sunrise in Wellington. A scenic spot that is filled with locals exists on the other side of the bay, across from the city. With a quick bus ride or ferry, you’ll find yourself in the laid-back Days Bay, considered one of the best day trips to take from Wellington city. After grabbing lunch and relaxing at Days Bay, it’s a great walk along the coast to Eastbourne. Perhaps it was the sunny day I had, but it ended up being one of my favorite walks in the Wellington region. With classic fish & chips shops and residential seaside homes, it’s hard to not enjoy the journey. 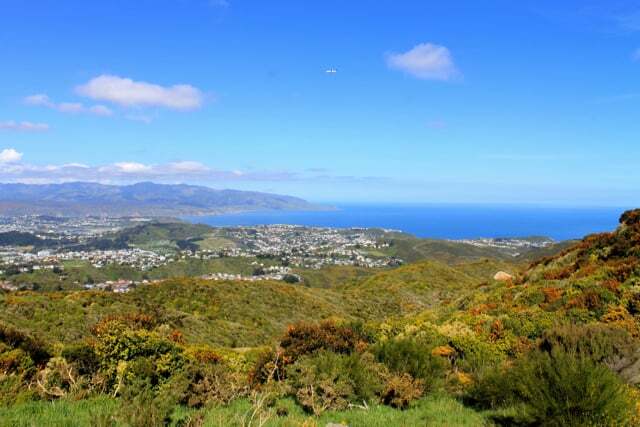 Also in Eastbourne, you’ll find the Butterfly Creek Forest Walk up in the hills that’s worth hiking for more good views of the expansive bay. Wellington is the windiest place I’ve ever experienced, with constant gale force winds for most days of the week. Let’s just say if Wellington as a city was a character in the Captain Planet crew, it would most definitely be Linka, the planeteer that possesses the power of wind. The good thing about so much wind is the possibility to harness its power in a useful way. The Brooklyn Wind Turbine is the oldest in New Zealand, and just another testament to how green the city is. From the suburb of Newtown it’s a steady uphill walk for close to two hours, but the lookout from the wind turbine is well worth it.The artful concrete bunkers just before the wind turbine are a great place to stop for lunch away from the crowds at the top of the hill. Oriental Bay is the slightly ritzy yet colorful part of downtown, and it’s also where the closest beach to the city is located. It’s usually buzzing with locals and tourists alike, especially on a nice day. 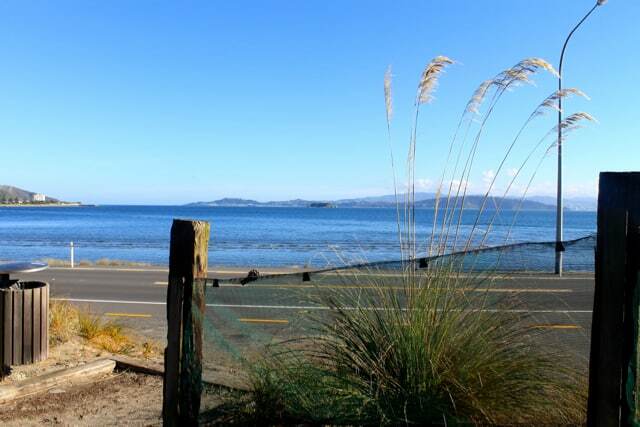 Although busier than other walks around Wellington because it’s right in the city, walking from Oriental Bay through Roseneath, Evans Bay Parade, and finishing in Kilbirnie is the perfect way to spend an afternoon. It’s a long walk, but one that’s worth the time if you’re in no rush and just want to take in the surprisingly dramatic scenery that’s right next to the city. 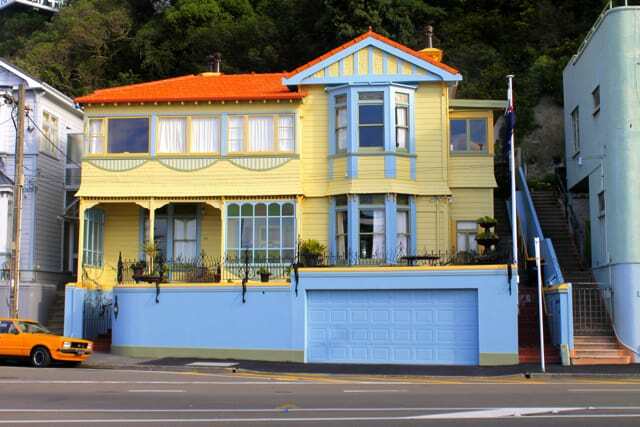 I also find the seaside houses around Wellington to be some of the most vibrant and unique, so there are plenty to dote on if you enjoy looking at quirky houses as much as I do. I discovered this walk when I was originally going to take the bus from Kilbirnie to Scorching Bay, but missed the bus by minutes. I decided to just walk there instead and I couldn’t have been more pleased with my decision. 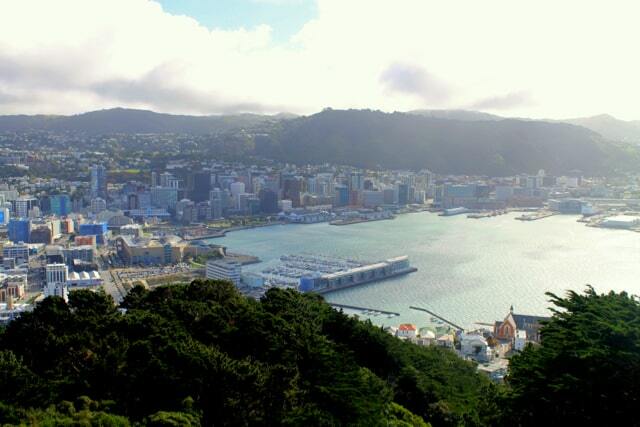 Wellington is known as the Hollywood of New Zealand with how many film locations have been set there. 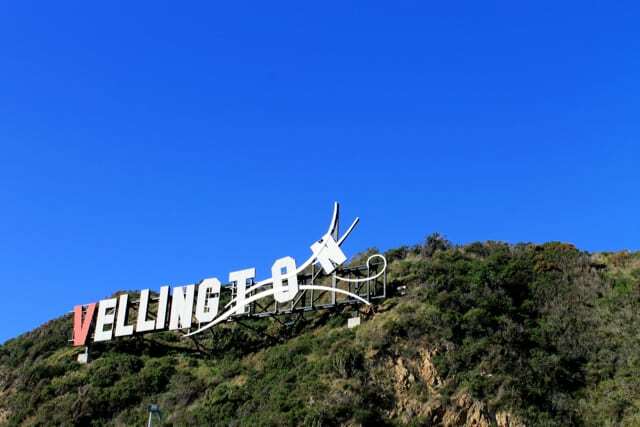 On the way from Kilbirnie to Scorching Bay, you’ll pass by the Windy Welly sign, based off the Hollywood sign, and a couple of different movie studios. This was one of the most rugged areas of the coast I came across. It’s impressive how many miles of coastline zig in and out around the bay, and this had to be one of my favorite sections. With that said, this isn’t the most walkable area of Wellington. If you stick to the coast, there aren’t always pedestrian pathways or even much of a shoulder as a buffer between you and the cars zooming around the corners. If you’re uncomfortable with this, I’d recommend driving along the coastline from Kilbirnie to Scorching Bay, and walking around once you get to the bay. In addition to Mount Victoria, if you’re short on time and want to spend an afternoon walking around a local scenic spot, the southern beaches offer another great place to explore. From Island Bay, to Owhiro Bay and the Te Kopahou Reserve, this is the ultimate place to see rugged and pristine Kiwi beauty. Along the walk you’ll not only pass through the cute seaside towns, but also the extensive Taputeranga Marine Reserve, the Siren Rocks, the Old Quarry, the Red Rocks, and the Sinclair Head seals (in the right season). The walk through the bays takes about 30 minutes, and from the start of the reserve to the seal colony it takes about 45 minutes to an hour. 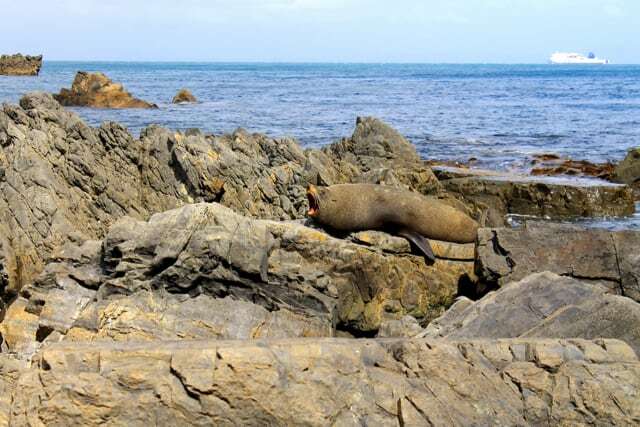 The popular attractions on this walk are the Red Rocks and the Sinclair Head seals. The Red Rocks have a few different theories behind how they achieved their color. I would recommend looking up the Maori legends behind them for a good story. Usually you can only spot the seals hanging out on the rocks from May to August, but I was lucky enough to see a couple of lingering males a month or two after that. I recommend this hike partly because everyone has to go to Carlucci Land at least once while they’re in Wellington. It’s the weirdest place you may find in the city, but such a great Welly experience if you have the time. Carlucci Land is in the middle of nowhere, with miniature golf, paintball, and a sculpture garden all made out of old junk yard materials. A little creepy and a whole lot of creative, Carlucci Land is like nothing I’d ever experienced before. It’s the industrial fantasy playground of Wellington. If you walk from Kingston, you’re rewarded with more great lookouts over the city and a workout for the day. From the hill in the Kingston suburb, you have to pass through a valley to get to the next hill over to where Carlucci Land is located. It was incredible looking out across the valley and seeing a colorful maze from faraway of a paintball field and miniature golf area. 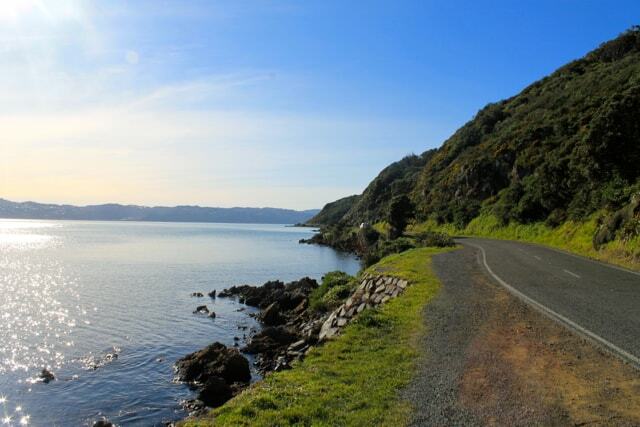 I could go on about the many places to walk around Wellington, but these 8 walks should at least give you a good overview of the magical little city by the bay. Wellington is a one of a kind place (even within New Zealand), and sometimes it’s worth it to see it from the slow pace of a stroll in order to take in all the beauty it has to offer. Mimi is California girl who, after living abroad for two years, now spends her time traveling around the Pacific Northwest and writing about it on her blog, The Atlas Heart. 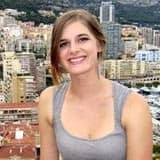 From jumping out of a plane in New Zealand, to eating snakes in Vietnam, learning how to cook in Italy, and scuba diving the Great Barrier Reef in Australia, she’s always looking to live with an open mind and an Atlas Heart. Island Bay to Sinclair Head way seems the most exciting for me. I’d prefer a solo approach towards this route. It can help discovering many things. Cheers.